As of April, 2009, The Church of Jesus Christ of Latter-day Saints (Mormons) has established official Church channels on YouTube to share the gospel message. The YouTube channels Mormon Messages, Mormon New Era Messages, and Mormon Newsroom feature short videos that teach gospel principles or report on newsworthy Church events. 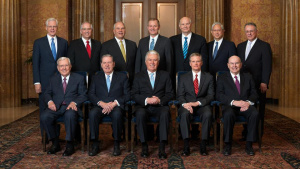 Videos on Mormon Messages include excerpts from messages from General Conference from leaders of the Church such as President Russell M. Nelson, and Elder Jeffrey R. Holland and Elder Dieter F. Uchtdorf of the Quorum of the Twelve Apostles and others. Mormon New Era Messages includes messages based on New Era MormonAds.